Apply a pearl size drop over eye contours, creases, puffiness and wrinkles above and below eyes. Water (base), isododecane (slip agent), glycerin (hydrating), isoamyl laurate (conditioning), cyclopentasiloxane (breathable DISCLOSURE silicone), dimethicone (slip agent), polymethylsilsesquioxane (slip agent), dimethicone crosspolymer (thickener), niacinamide (multi-tasking cell energizer), cetyl PEG/PPG-10/1 dimethicone (emulsifier), nylon-12 fluorescent brightener 230 salt 9light diffuser), acethyl tetrapeptide-2 (lifting peptide), hexapeptide-48 HCI (corneotherapy peptide), caprylic/capric triglyceride (emollient), sea salt (hydrating), albizia julibrissin bark extract (multi-action contour corrector), caprylyl methicone (softening), hydrolyzed ceratonia siliqua (carob) seed extract (soothing phytorepair), tocopheryl acetate (freshness preservative), polyviylalcohol crosspolymer (light diffuser), phenyl trimethicone (breathable silicone), phaseolus radiates meristem cell culture extract (firming and soothing), decyl glucoside (co-emulsifier), melanin (antioxidant), sodium metabisulfite ( protectant) synthetic fluorphlogopite (opacifying reflector) titanium dioxide (protecting), bismuth oxychloride (opacifier), iron oxides (operating), darutoside (dark shadow reducer), tin oxide (opacifying), ethylhexylglycerin (skin conditioner), phenoxyethanol (antimicrobial preservative). This luxurious, radically lifting and smoothing super-serum addresses all major changes that the aging eye experiences: lines and wrinkles, dark shadows, puffiness, loss of volume and firmness and most difficult area to treat-sagging upper lid. Firming Eye Serum is designed to rejuvenate the total area around the eye, may be used for all skin types, and delivers exclusive Anti-Gravity and High Energy Light Deflection Technologies for unprecedented age-corrective action. 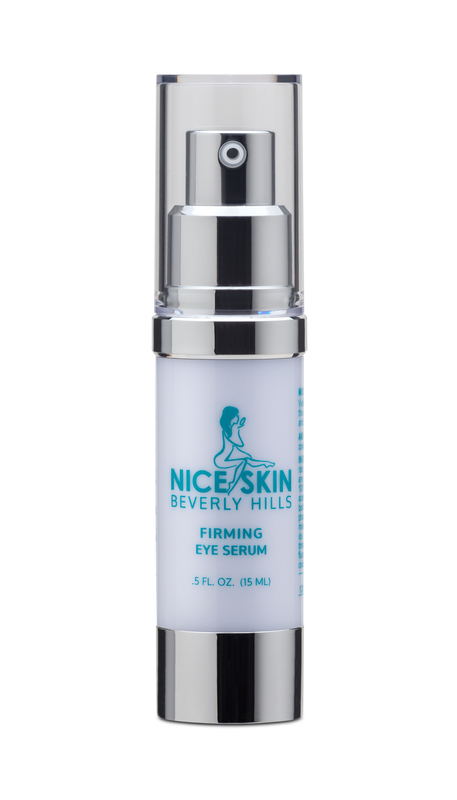 Clinical tests demonstrate that when used regularly, Firming Eye Serum lifts the fold of the eyelid, reduces the volume and depth of wrinkles, and smooths the crow’s feet area. 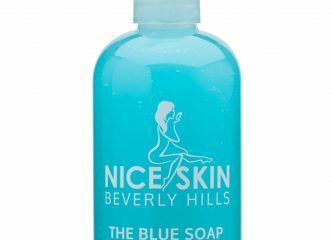 Niacinamide – aka vitamin B3, is a true multi-tasker, which stimulates microcirculation in the dermis, treats uneven skin tone, minimizes acne and its accompanying redness and irritation, and improves skin’s elasticity. Helps shield eye area from aging high energy light produced by smartphones, tablets and computer screens. 1.Beautifeye TM | Provides multi-functional age-defying action on the sagging upper lid; reduces the appearance of lines. Beautifeye TM, a clinically-tested synergistic blend of two plant extracts, Persian Silk Tree and Holy Herb, is the first ingredient to visibly lift the upper eyelid by 20% up to 91%. Stem cells from Mung Bean Sprouts (vigna radiate) rescue and protect UV-damaged fibroblasts and reduce the signs of photo damage induced inflammation that is at the root of wrinkle formation, skin sensitivity and loss of elasticity.